Home > Advice > Study > What are my GCSE options? What are my GCSE options? Knowing what GCSE subjects to take in Year 9 can be tough. There are a range of subjects, so what exactly are your options? How should you decide which GCSE subjects are the best ones to take? How will the GCSE options available to you affect your future? If you’re at the stage where you need to look at your GCSE options then this blog post is for you. We’ve put together this guide to help you choose GCSE subjects that will help you in your future career. GCSEs are qualifications that school children in the UK study towards when they’re 14 years old or in Year 10. 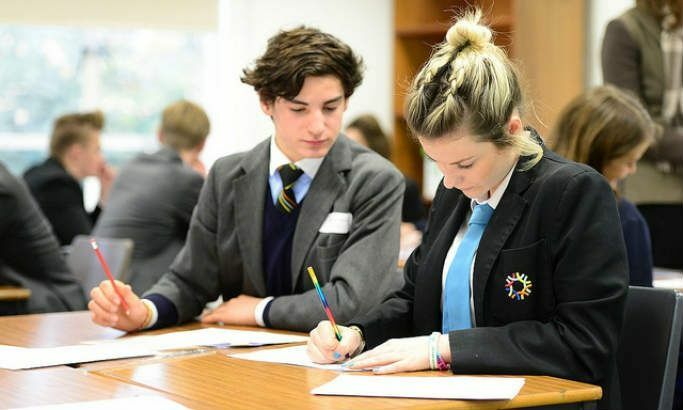 GCSE stands for General Certificate of Secondary Education and chosen subjects are studied over two years with final exams taking place in Year 11. After choosing their GCSE options and completing their qualifications, school students are then able to decide whether they want to leave school education or continue studying towards A-level qualifications. Students have to stay in education or training till they're 18, although training could be an apprenticeship course taken as part of a paid job. When it comes to finding a job, most employers will look at your GCSE qualifications to see if the subjects that you studied are relevant to the type of work that they do. Although every job is different, most companies will expect you to have at least 5 GCSEs including English, Maths and Science from levels A to C. In some cases, students leave secondary school with 10 GCSEs or more. The more further education (eg A-levels) or higher education (eg a degree) qualifications you have, the less important your GCSEs will be. However, it's impossible to know what the future holds so it's important to work towards the best GCSE results you can achieve. What GCSE subjects are compulsory? The core science GCSE subjects are biology, physics and chemistry. You need to choose at least one core science subject as part of your options but you also have the opportunity to choose all 3. Although these are the main compulsory subjects, some schools do make other GCSE subjects compulsory, so you should double check with your school if there are any other subjects that you need to take in addition to the ones above. What optional GCSE subjects can I take? If you have a particular career in mind, you should do some research into what subjects employers in that industry look for. If you’re considering staying on at school to study A-levels, then you should also think about what subjects you’ll want to study then, as some schools require you to have taken a subject at GCSE level if you want to study it later at A-level. If however, like most students in Year 9, you still don’t know what career you’d like to have, then you may want to consider keeping your options open. Sometimes, studying a range of different subjects can be a good way for you to decide what sort of career you’d like when you leave school. For example, if you find that you really enjoy languages, then you might consider a career in tourism, or if you find that you love geography, you might want a career that allows you to travel. The government is making some changes to subjects that will affect your GCSE options. These changes are taking place now, and for a full list of the changes, you can check out the information provided on the AQA website. GCSE maths will have more of a focus on problem solving and encouraging students to follow logical steps. There will also be more emphasis on remembering formulae. This new course will focus on encouraging students to read a wide variety of high-quality literature and non-fiction texts from a range of genres from the 19th, 20th and 21st centuries. Studying literature will no longer be compulsory at GCSE level but studying English language will. The new literature course will focus on "classic" literature and unseen texts will also be added to the exam. The new English literature and English language courses were introduced in September 2015. These grades will be extended to other subjects in 2018 and 2019. GCSE options will also become more "linear", with more focus on the exams themselves rather than ongoing coursework. Students will only be able to take exam resits in English and maths. There’s no "right" way to choose your GCSE options, but it does help if you think about your future when making your decisions. For example, if you know whole-heartedly that you want to be a doctor, then choosing subjects related to that job like physics, chemistry and biology will certainly be useful. On the other hand, if you don’t have a clue what career you want in the future (like most students in Year 9, 10 and 11), then you should probably aim to keep your options open. Studying a range of subjects will provide you with a good overview of different topics and different ways of studying, which can help you identify what subjects you’re best at. Talk to your careers advisor to see if you can get a feel for what kind of career you might like to do. Although it can be tempting to choose your subjects based on what teacher you might get, we suggest that you resist. Everyone has their favourite teachers but there’s no guarantee of who you’ll get for your GCSEs. You should base your decisions on the subject itself rather than the teacher who will be teaching you. As a general rule, the more qualifications you gain throughout your life, the less important your GCSE options become. For example, if you end up studying at university and gaining a degree, potential employers are more likely to be interested in what you studied there, rather than what you studied when you were 16. Hopefully, after reading this post, you’ll have a better idea of what GCSE options are available to you. Take a look at the articles below if you need more help. What options do I have after taking my GCSE exams? Should I take triple science GCSE?